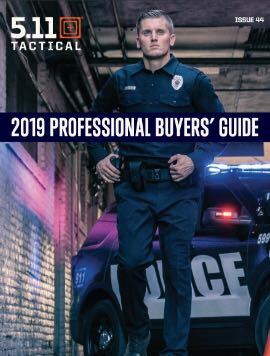 An ideal solution for rapidly changing environments, the Packable Lined Jacket comes with a convenient carry pouch and stows easily in your truck, patrol bag, or locker. Short = 5'3 - 5'7 1/2", Regular = 5'8 - 6' 1/2", Tall = 6'1 - 6'3", Tall sizes have 2" added to body and sleeve length. *Arm length refers to your actual arm length, not the garment’s sleeve length. Short (160 -171.5) Regular (172.7 -184.1) Tall (185.4 - 190.5), Short sizes have 5cm reduced from body length & sleeve length; Tall sizes have 5cm added to body length & sleeve length. *Arm length refers to your actual arm length, not the garment’s sleeve length. 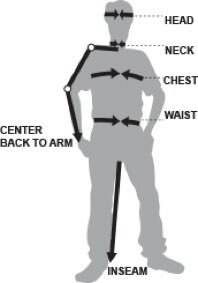 Using measuring tape, measure your body (not over clothing) and refer to diagram as a guide. If you fall between sizes, order the smaller size for a tighter fit or the larger size for a looser fit. For sleeve length, measure from the center of the top of your back to your wrist. Utilize your chest, arm length and neck measurements to determine the proper size for tops, outerwear or jumpsuits. A body skimming fit. Not compressive. A comfortable, professional fit. Neither slim nor oversized. A full, generous fit allowing superior range of motion.